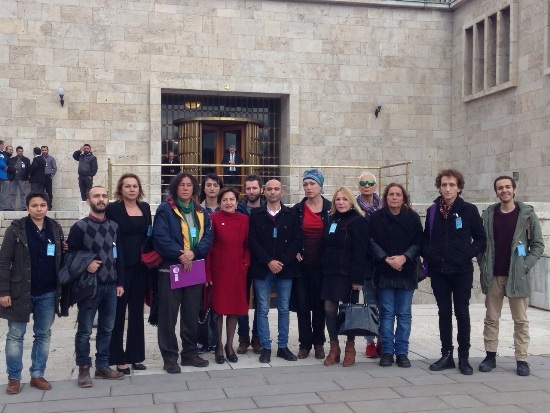 Binnaz Toprak, an LGBTI ally from the main opposition Republican People’s Party (CHP), made a press statement at the Turkish Parliament yesterday to draw attention to trans murders. The demand for “Constitutional equality” was repeated in the statement joined by trans activists. CHP MP Binnaz Toprak, made a press statement at the Turkish Parliament on the occasion of Trans Remembrance Day on November 20, speaking up against discrimination, marginalization and violence. Conservative newspaper Milli Gazete attacked the Turkish MPs who attended a conference on fundamental rights held in Tirana by the European Parliament. Members of Parliament Nursuna Memecan from the ruling Justice and Development Party (AKP) and Binnaz Toprak from the main opposition Republican People’s Party (CHP) were in the Albanian capital on November 20-21, 2014 to participate in the conference titled “Fundamental Rights, Non-Discrimination and the Protection of Vulnerable Groups, Including LGBTI”. Following Milli Gazete reporting on the event as “Parliament gives pass for immorality” three MPs, Mehmet Metiner and Ziver Ozdemir from the AKP and Ruhsar Demirel from the nationalist MHP, withdrew their participation. Milli Gazete today reported on the conference full page with a title “Call to Morality”, calling Islamic groups to speak up against the LGBTI “disgrace”. The paper wrote that the AKP MP “boarded the same plane secretly” to attend the “conference of perversion” and that the CHP MP’s criticism of the paper’s coverage is a “medal of honor”. Both MPs talked with Kaos GL Association’s lawyer Hayriye Kara, who also participated in the event, and commented on LGBTI rights. Nursuna Memecan from the AKP said “LGBTI people’s rights should be acknowledged and they should live in dignity”, celebrating the work of civil society in Turkey on LGBTI rights. CHP’s woman deputies critiqued Chairman Kemal Kılıçdaroğlu for ranking the LGBTI candidates low on the list of candidates and for not abiding by the 33% quota for women candidates. According to Ayşe Sayın’s news story in Cumhuriyet, CHP’s (Republican People’s Party) Bursa deputy Sena Kaleli organized a dinner upon the request of women deputies. At this dinner, deputies raised complaints about various CHP organizations’ careless and patriarchal attitudes in regard to women candidates. 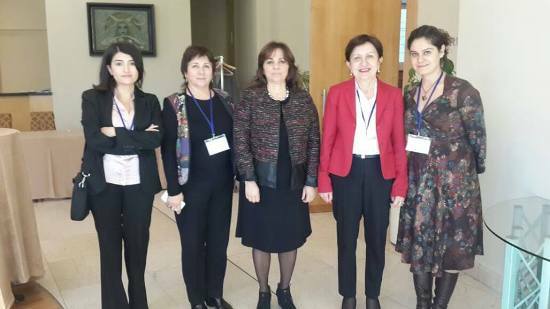 Women deputies critiqued various CHP organizations’ attitudes and actions in regards to women candidates and also claimed that there were some instances where the organization would replace a woman’s name on the list with a male candidate of their preference. Kılıçdaroğlu accepted the criticism about women’s representation and declared that there would be detailed studies on this issue during this term towards building a new model and especially in relation to the organization of women’s branches.